There are numerous farmers markets in the Lake George region, both in the Village of Lake George and in surrounding communities such as Warrensburg, Bolton Landing, Glens Falls and more. While you can always find in-season produce at a farmers market, many have additional items as well such as seafood, meats, cheeses, maple products, honey products, baked goods, prepared foods, wine, arts and crafts, and more. In addition, you can often enjoy live music while at the market, adding to the enjoyment of browsing locally produced products. Not sure what to buy when? Click here to download our seasonal produce guide! Shopping at a farmers market is a lot more fun than shopping at the grocery store. Stop in at one or more of the many local markets below! Get all of your farm fresh produce right at the Bolton Landing Farmers Market! The wide variety of local vendors sell everything from produce to artisan breads to jewelry and so much more, and there is always live music or a special event going on! Spring, late summer, and early fall are perfect seasons for visiting farmers' markets. From the small, mom-and-pop stand at the corner, to the large, organized market with multiple vendors and extensive selections, it is definitely worth the trip. For fresh produce, baked goods, plants, vegetables, maple syrup, honey, fresh flowers, and so much more, visit the Brant Lake Farmers' Market at Clark's Country Mall. Check out the Fort Edward Canal Street Marketplace Farmers' Market for locally grown and harvested goods. This 2019 weekly summer market is held Thursdays from June 6 to September 26, 4pm to 7pm on the grounds of a renovated 18th century barn. Speculator Farmers' Market is located at the Speculator Pavilion in Speculator, NY on Thursdays from 2pm to 5pm from June 20th to September 12, 2019. Head over to the South Glens Falls Farmers Market for a wide selection of farm fresh produce and local goods. Come pick out fresh food at the Sandy Hill Farmers' Market in Hudson Falls at Juckett Park! Open Thursdays 6pm to 9pm, June 20 through August 29, 2019. The Schroon Lake Farmers' Market starts at the end of June and runs into September on Thursdays from 10:00 a.m. until 3:00 p.m. 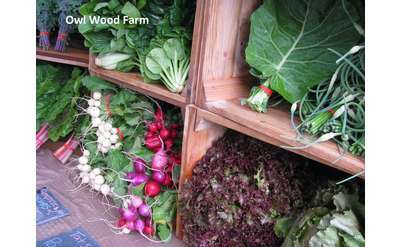 Check out the Ticonderoga Area Farmers' Market for all your farm fresh needs! 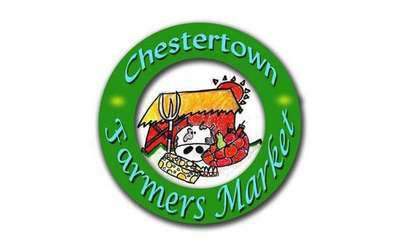 The market features fruit & vegetable farmers, several specialty vendors, and themed events and entertainment. This market has been around since 1998 and is "producer only," which means it's limited to only locally grown foods. Starting in early June until late October, the Whitehall Farmers Market is held every Tuesday from 1:00pm-4:00pm at Skenesborough Park in Whitehall, NY.